Windows are a major aspect of any building. Suitable windows, professionally designed with quality window materials, and installed with precision, will not only make your house energy efficient, but will proof it against noise and infrared light, while adding a touch of beauty to it. How do you choose the right contractor, which offers affordable windows and window services, while still assuring quality? This is where AIE comes in. AIE offers a directory of trusted window companies where customers can discover quality affordable window services across the United Kingdom. AIE subjects all window companies on its directory to its meticulous vetting procedure before offering listings. This means that we run credit, reference, and fraud checks on every window company we approve. All listed window companies, sign up to AIE’s code of conduct. This is a prerequisite for listing on AIE’s directory, which enables AIE to offer customers protection from disreputable window companies, poor quality window services, and exorbitant window prices. AIE also conducts regular assessments of already approved window companies on its directory. This implies that any listed window company found to be in breach of AIE’s code of conduct will be automatically unlisted. With the many window companies listed on its vast directory, AIE is able to stir competition among the approved companies and thus offer affordable windows and window services to customers. AIE allows and encourages customers to rate and review window companies whose services they have used. These reviews and ratings are thoroughly verified for authenticity, so that other customers can easily get a general view of the service level of each window company on AIE’s directory. With AIE’s vast directory, customers get access to the profiles of a myriad of trusted window companies and are able to compare quotes and select providers that offer them the most affordable window hardware. Using AIE’s network, customers also get to compare window companies that provide quality and flexible designs and choose ones that give them the most affordable window fabrications. When planning to install your windows, you want to make sure that the specialist you hire is actually competent, will deliver lasting installations, and will not damage your property. However, you do not have to deplete your finances to obtain quality. By shopping around using AIE’s directory of window companies, you can easily find affordable window installation services to us. The hazards that accompany damaged windows and the need for repairs and replacements can easily incite desperation and you may end up spending more than you should. With AIE’s directory, you can quickly weigh various window companies against one another and find one that provides you with affordable window replacements and repairs. To avoid future heavy repair costs, it is ideal to regularly care for your windows. This means that window maintenance is supposed to save costs, not incur more expenses. AIE’s directory of window companies will give you affordable window maintenance. Browse through AIE’s directory to find trusted window companies around your location. Study the profiles of various window companies and select the ones that offer the window service you need. Weigh these window companies’ reviews and ratings against one another to determine which providers are known to offer more satisfaction and affordability with their window services. 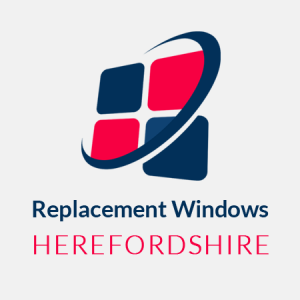 Give the window companies on your shortlist a call for quotes. Compare quotes to determine which company offers the most affordable window services. Start shopping around for affordable windows and window services now. Fill out the type of affordable window or window service you want alongside your location using our trader search tool.